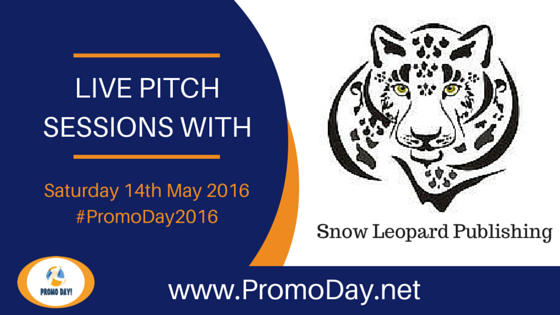 Snow Leopard Publishing will be taking pitches during ‪#‎PromoDay2016‬ on Saturday 14th May. Snow Leopard Publishing is the flagship imprint of Allegiant Publishing Group and is interested in all genres excepting erotica for traditional publication. Please note that Snow Leopard’s unique Pick Your Own Contract will allow you to get the publishing deal you need without a literary agent if you are accepted.